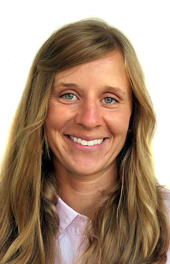 Erin Schorran is a family nurse practitioner at La Clinica’s Central Point Health Center. A graduate of Oregon Health & Science University in Portland and Southern Oregon University in Ashland, she started working in the medical field as a labor and delivery nurse and as a pediatrics nurse. She first worked with La Clinica patients while a graduate student at OHSU. She has a master’s degree in nursing and bachelor’s degrees in nursing and psychology. Erin is a member of the American Academy of Nurse Practitioners and the Oregon Nurses Association. She enjoys cooking or baking—especially cookies—with family and friends. She also likes backpacking and landscaping. Working with La Clinica’s employees and patients as a student helped Erin understand the kind of career she wanted. Erin Schorran is part of the Central Point Health Center care team and also practices at La Clinica’s school-based health centers at Oak Grove Elementary School in Medford.